Getting to the heart of the cuisine in northern Iraq isn’t especially easy for tourists for two main reasons. One is that the culture of eating out isn’t particularly prevalent and establishments that cater to travelers are far and few between – mostly because tourists themselves are. You’ll find there’s a lot of surface to scratch, which can be a fun process that uncovers some unexpected meals. Throw a rock in Arbil and you’ll hit two sandwich shops. 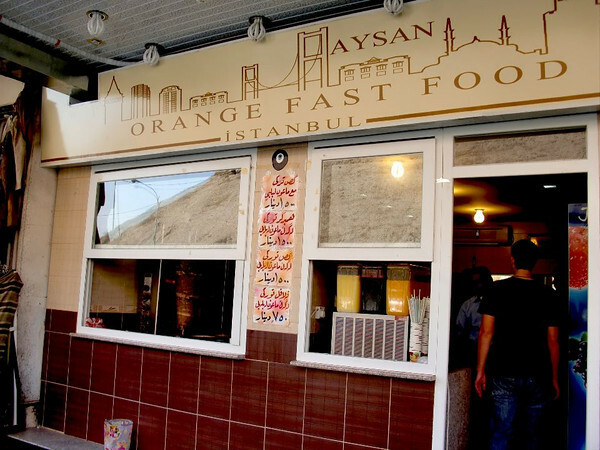 These small establishments are typically brimming with people (virtually always men) with a sandwich of sliced beef, chicken, or fried chickpeas in either hand. Incredibly warm and humid inside, payments are made upfront to a clerk (sitting strategically far from the hot rotating spits) who hands out color-coded, laminated numbers designating your order. Shawarma and doner are very similar types of fast food. In Iraq they consist primarily of small pockets of white bread filled with shaved beef, lamb, or chicken, along with a touch of lettuce, tomatoes, and spicy onions. The process is quick as you’re shuttled across a short lunch line. Everyone eats standing up, except for the lucky one or two that finds an old plastic porch chair to sit in. Bits of salad, sandwich, and sauces drip to the floor which is conveniently hosed clean several times an hour. Iraqi sandwiches make even fast food look slow. Flavored juice, that’s as bright as it is sweet, is churned out from vendors armed with blenders from block to block. Facing many of these juice shops are rows of small chairs – where sipping juice and people watching seems to be an favorite pastime. Sit around long enough and you’ll see a variety of unexpected faces like those of Fijian UN workers, Chinese businessmen, and every other child wearing an FC Barcelona jersey. Although there is some fruit in each drink, the taste and sight of each flavor is strongly accented with food coloring. 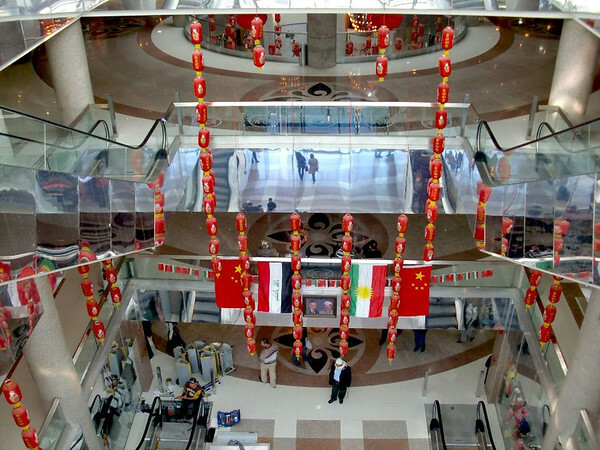 The variety of international food in Sulaymaniyah is instantly evident as there are numerous Chinese restaurants throughout the city; quite in contrast to the sandwich-filled landscape of Arbil. Strangely though, some of those Chinese restaurants don’t serve food, a fact Wandering Earl and I happened upon. Also, there were several “pizza” places that, well, didn’t serve pizza but rather a variety of cold salads and elaborate sandwiches. Despite the spattering of places like the German Deutscher Hof Erbil in that same city, Arbil is a fairly monotone menu landscape. 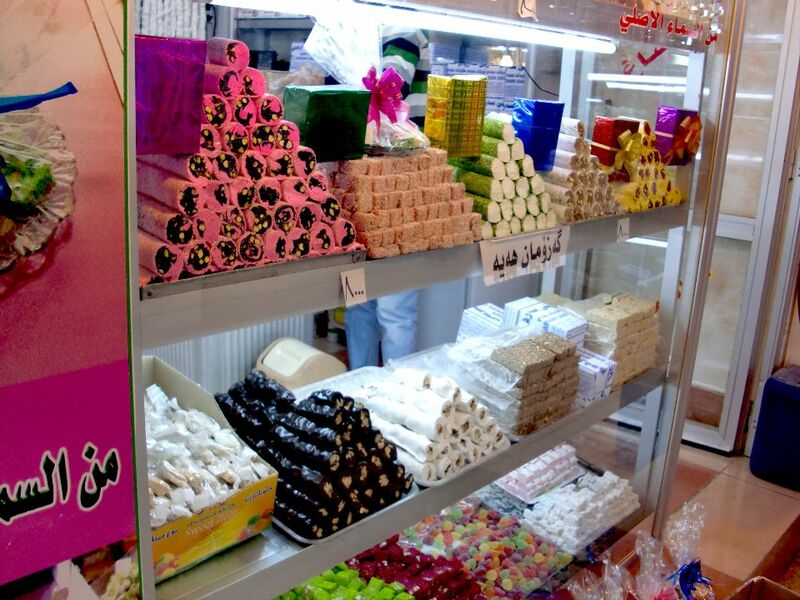 Indulging your sweet tooth isn’t a problem as Iraqi candy stores have a seemingly endless variety of confections. Pistachio, orange, apricot, chocolate is infused into the local “mann al-sama”, which is similar in taste and texture to Turkish delight. Half a kilo (~1 lbs) runs about 5,000 Iraqi dinar, which is about $4.30 US. You have your pick of the lot to create your own custom mix and be offered a generous number of samples to train your palate if needed. Travelers wanting to enjoy an alcohol drink in Iraq will be happy to know that finding it will be relatively easy throughout the north. There are liquor stores stocked with just about every popular brand of adult beverage while beer can be found at many convenience stores. What’s most striking isn’t the availability of booze – but how incredibly inexpensive it is. Finding bottles of beer for well under a dollar and popular brands of vodka, whiskey, and wine for less than 10 is common. 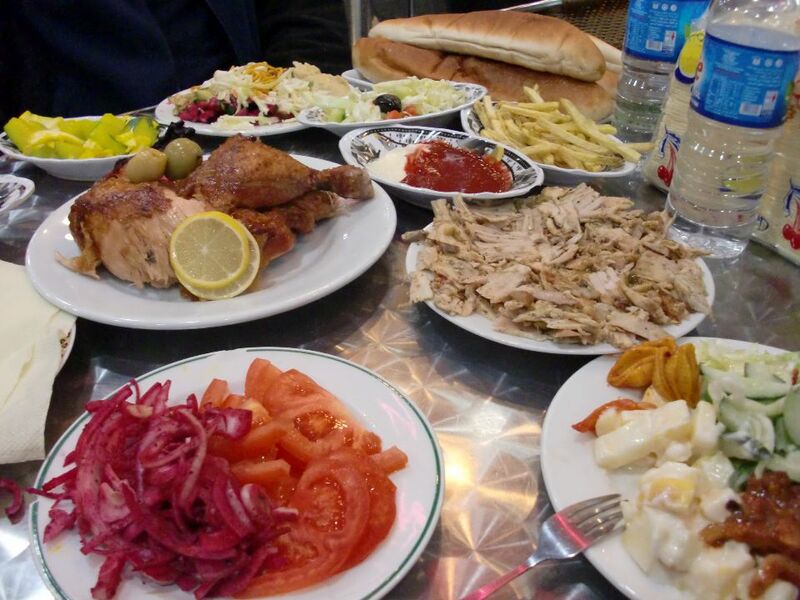 Getting a good idea of what Iraqi food is like can be tough if you’re traveling through the region. There aren’t many obvious staples to base your frame of taste; along with a broad assortment of seemingly random grub making matters worse. Unfortunately I didn’t get to eat dinner with anyone at home; I got the strong sense that there is a marked difference in cuisine behind closed doors. 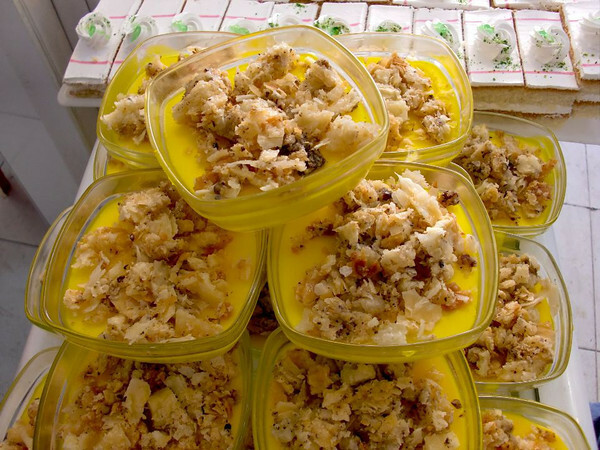 The food you’ll find out and about apparently strives to be give the locals a fast food alternative to a home-cooked meal – rather than adding some spice to native dishes – leaving travelers with a journey to find more than just a taste of Iraq. PreviousShould You Get Travel Insurance? I also love the food in the middle east – can’t beat a fresh fruit juice and something of the grill/spit followed by some super sweet desert. The food looks incredible and the story that accompanies it is great too! This brings back some similar memories from Egypt, chowing down on pita sandwiches and drinking a fresh fruit juice together. I agree, fabulous combination! Thanks! Earl and I ate our share of sandwiches, it was breakfast, lunch, and dinner at first! This is a very interesting post. I suppose what left me wondering was the food color: the fruits on display all seemed to be yellow-orange in color, and yet the liquid in the blenders vary from green to bright red. I wonder why food color seems a necessary ingredient. The vendors certainly seemed to be operating under the philosophy “the brighter, the better”. Not quite sure why – guess it’s the trend when it comes to fast/sugary drinks. Ohhh dear. What’s going on with those ‘fruit’ juices? Although, they’re also widely available in Turkish hotels, too. An array of fluorescent colours, great for getting the kids – and their parents – super-hyper! Definitely not what you could call “all-natural”! I agree, the meals behind closed doors are likely quite different. But it sounds like you had a good taste of what was available! Cheers! Yeah, you know how in some places you can get a bit of the local cuisine or an idea from eating out – I didn’t get that feeling at all in Iraq. Great article Anil! This is what I was waiting to read about Iraq. Interesting that liquor is so plentiful there, considering that most Muslim countries are very strict about the sale of alcohol. Those fruit juices actually look unappetizing to me, but maybe they’re good? I too was surprised about the alcohol and how many liquor stores were around; I wonder how/why the prices are so cheap. As for the juices, they were excessively sweet for my taste. Tasted like lots of sugar without a strong flavor to accompany it. I am surprised about the alcohol too. Such a cool post. Food looks very similar to that found in neighboring countries…but from what you say alcohol is much easier to get in northern Iraq. I had a very difficult time finding beer in Syria, Jordan, and the West Bank…many a night I spent walking the streets with a non-alcoholic malt beverage in hand, which doesn’t come close to beer. But it’s more of a smoking/tea drinking culture anyway, so I didnt miss beer too much. That’s interesting to hear – I was hoping to compare it to Egypt (though doubt I could find any open shops now) in a few weeks. The Saddam regime, much like Mubarek’s, was staunchly secular – it makes me wonder if the current loose alcohol attitudes are somewhat connected to that. Those guys and a few others came out of the same class of thought in the 1960s; I would be interested to learn if there was a connection. It could also be something specific to the Kurdish culture’s attitudes towards alcohol as well. The food was certainly not great in general – though I’m still hopeful that it’s because the good food isn’t on the streets yet. The sweets though…all I can say is wow, really good! Any chance to share your article and (or) to share your photos on our page. I don’t allow re-posting of my articles or photos elsewhere generally but if you want to post a link back to them by all means. 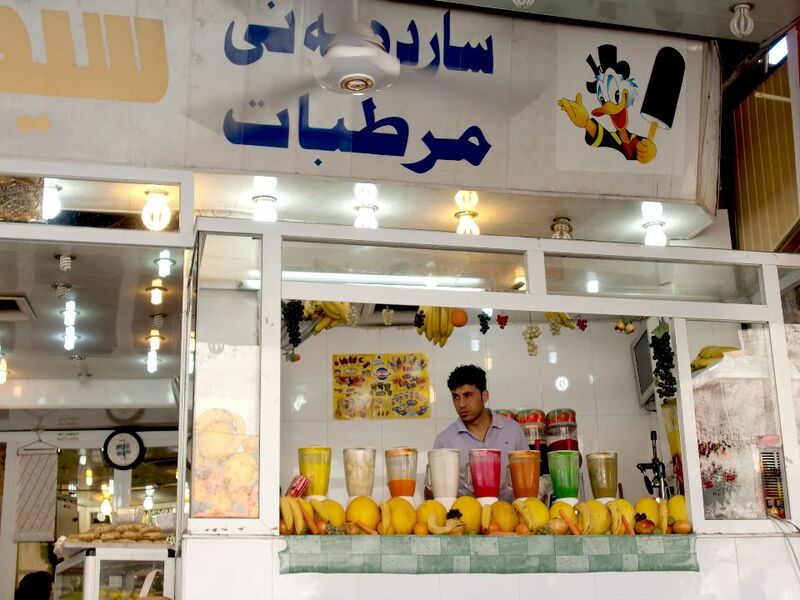 This is Kurdistan not Iraq, it’s obvious that you can’t find these things in Arab Iraq (Baghdad,Basra … ). Kurds are trying to prove themselves, to show that they deserve to be a country (whether right or wrong), and the atmosphere and progress of cities like Arbil shows that, but you simply call all these Iraqi … This could be the worst disappointment for all these efforts. and I think I’ve shown it for what it is, hardly disappointing. I spent a few days in Erbil last year coming from Beirut. I was surprised that you did not mention the great kebabs that Kurds are known for as well as the lablabi, a soup of boiled fava or chickpeas served with pomegranates; food is more authentic at the Bazaar and there is a big one in front of the citadel in Erbil where I sampled many interesting foods. I also saw some giant wild thistle, called akkub in Lebanon. Interesting site. I generally don’t eat too much kebab but didn’t notice larger meals outside of a few places, probably why I missed them overall. As for the soup, I’m sorry I missed that one, sounds very good. and i kinda hate it…………………………………. yea……..
Makes your smile above so much more ironic then.